Several dozen Siberian sports fans gathered on Saturday (February 18) in a snow-covered field outside the city of Irkutsk to take part in a dog sled race. 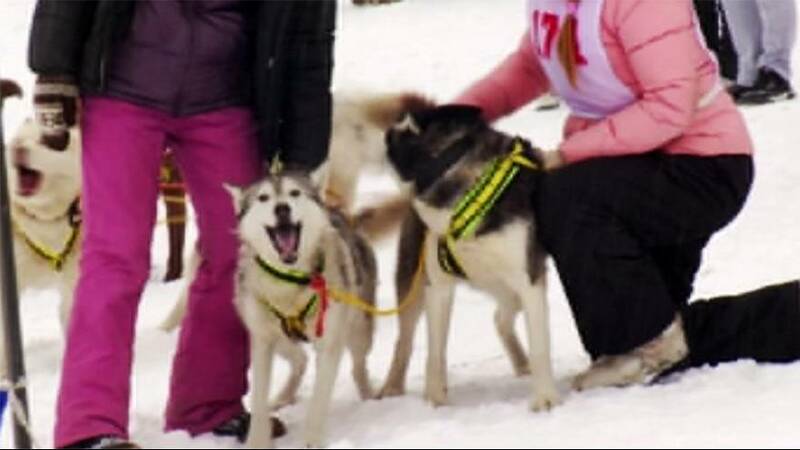 The event called Mamay Snow Race brought together amateurs and expert dog-breeders from various Siberian cities as well as their canine companions of various colours and breeds. Some participants rode distances of 30 or 10 kilometres on full pack dog sleighs, while others chose to tie themselves to one or two dogs with a rope and ski in their rear. Dog sledging is gaining in popularity in Russia’s Siberia and enthusiasts are happy to brave minus 15 – 20 centigrade frost to engage in their favourite sport.